Deborah Hazelton is the past President of the California Association for the Gifted and has worked as a volunteer in this organization for over 20 years. She has taught in the Oceanside Unified School district for over 28 years serving as a GATE Mentor district wide and a leader in differentiation. She has been a teacher, administrator, and consultant in the California Public Schools for many years. Currently, Deborah is an Adjunct Assistant Professor in Guided Practice at the USC Rossier School of Education’s Master of Arts in Teaching Program teaching new teachers how to develop quality, challenging lessons. Deborah has worked and studied extensively with Dr. Sandra Kaplan, USC Clinical Professor in Summer Institutes for professional development and on the CAG Education Committee developing differentiation programs for advanced learners. 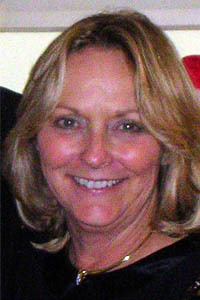 Deborah earned her Masters in Educational Psychology from the University of Connecticut in 2008 and consults with both students and parents in advocating for academic rigor. Her vision for all students is to provide support and enrichment for students to thrive and to realize their potential as well as express their creativity in products and work. She consults with parents on how to provide meaningful change so that their child can grow and experience challenge in their lives. Deborah Hazelton is the co-founder of the online learning business established in the E-Gifted organization.